Reading, PA, July 19, 2016	(Newswire.com) - DaBrian Marketing Group, LLC redesigns and creates a new website for PA Industrial Equipment, Inc.
PA Industrial Equipment, Inc. specializes in the sale, rental, and repair of forklifts and aerial lifts. 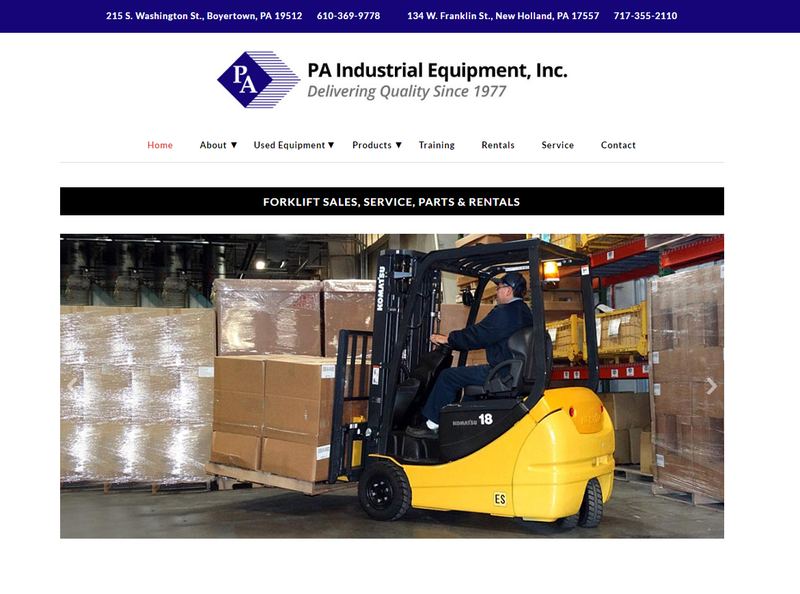 PA Industrial serves numerous counties within Southeastern Pennsylvania - including Berks, Philadelphia, Lancaster, Lehigh, and Northampton. PA Industrial stresses its dedication to high-quality service in the selling and repairing of machinery that is vitally important to manufacturers within the region.